Shadmehr began his music journey in Iran back in the late 80’s, and he released his first successful album in 1997. This album consisted of instrumental tracks in which Shadmehr had beautifully presented his talent through playing the piano, violin and guitar. 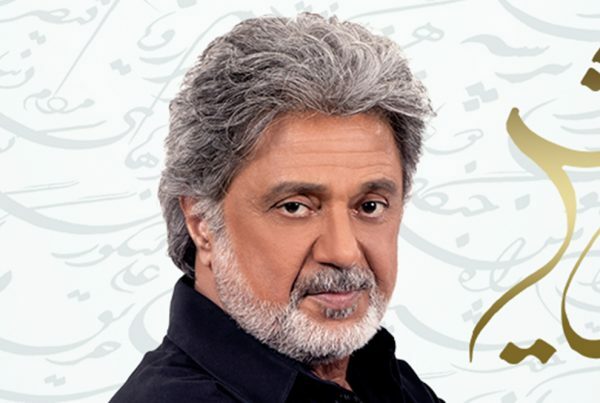 Twenty years have gone by and Shadmehr has created many memorable hits along the way; his latest album ‘Tajrobeh kon’ is the 12th studio album released. This album has brought a new kind of excitement to the younger generations. It seems that this album was released at the most perfect time as the younger generation has been able to connect with the songs very well as they narrate many of their stories and day to day experiences. Shadmehr’s new album has successfully pulled in a new fan base and touched the right chords for his existing fans. Someone like myself who fell in love and became a fan of his work with his earliest albums ‘Dahati’ and ‘mashogh e sokoot’ albums, and specifically songs like ‘Bi Tabi’ and of course ‘Dahati’. This album has all the right elements to become yet another legendary and memorable piece of work by Shadmehr. One that would be played repeatedly for years to come and remembered desirably the same way his earliest hits are still favourable by the older generations to this day. Shadmehr Aghilli is more than just a studio artist. His professional stage presence and the energetic performance out on by himself and his team during live performances are incredibly unforgettable. He commands the energy and transfers it to the crowd, causing waves of joy throughout; capturing the audience and mesmerising them throughout the performance. Here at Beelits.com, we cannot wait for Shadmehr’s legendary tour and it seems our wish is coming true. The wait is finally over as Shadmehr is returning to Manchester for a truly unforgettable concert as part of the ‘Tajrobeh kon (Experience it)’ world tour. To ensure you really do ‘Experience It’, remember Sunday 10th December 2017. Next PostReal time Seating/Table plan charts through Beelits!